The last book in the Triplehorn Brand trilogy is here! All three brothers are reunited with the women they could never forget. A Long, Hot Summer, to me, is the sweetest and sexiest of the bunch, and you get a very satisfying glance at the other brothers’ happy-ever-afters…. As for what’s happening in my neck of the woods… I’ve been writing! And I’m preparing for a trip to Hawaii! I’ll be heading there with a group of author friends for a creative recharge! Hawaii’s somewhere I’ve never been, but have always had it on my bucket list, so I’m super-excited. We’ll be staying on the island of Oahu, so any of you who have been, do you have suggestions for where I should go? Sarah Colby’s marriage was over long ago, but she’s never shed the scars her abusive husband left behind. One shameful indiscretion, an affair with a younger man one long-ago summer, haunts her. Did you miss the first two Triplehorns? What is your favorite second-chance love story, movie or book? Can you believe this is the last day of March?! This has truly been Hell Month for me. Too much on my plate meant too little sleep and too much stress. Here’s the rundown. I had to prepare for then attend a conference in Nashville—A Weekend with the Authors—which was fun. But I’ve become such a homebody/hermit it’s tough for me to move out of my routine to do something like that these days. My dear daughter left two days after I returned from conference to go help her dad with his business for 17 days! As we speak, she still has a week to go, but I’ve been “mom” since she left, staying at her house to make sure kids get to school, animals don’t die, and the house stays clean. I’ve been editing my little fingers off: first, my story A Long, Hot Summer, then 4 more paid gigs—2 of which were long. I’m wrapping up the last two today, so I start the new month without any leftovers. 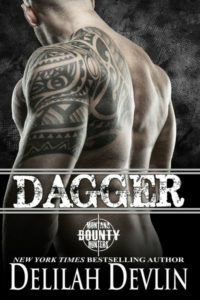 I finished writing the last three chapters of Dagger, just in time for it’s release. Whew! I wrote a story for my sister’s Kindle World, The Brotherhood Protectors. 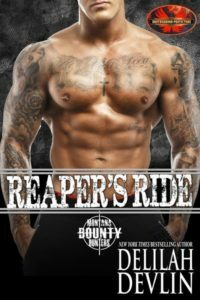 I finished up Reaper’s Ride this morning! And then there were the releases I had to promote. Take a look in case you missed them! A lifetime ago, Zuri Prescott kicked the dirt off her boots and fled her small-time, small town, but lived to regret choosing a glam city life over her high school sweetheart. 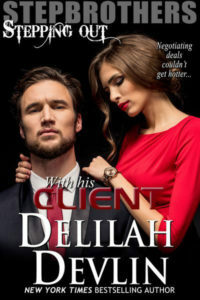 When she’s framed for a bank robbery, she flees to her home town, seeking refuge with her old flame while she figures out her next steps–only to discover he’s the last man she can confide in. Lacey Jones is furious when she finds a very large, scary dude trying to steal her car. It’s the last straw. She’s lost her job and is about to lose her apartment, so there’s no way in hell she’s letting him take her damn car! When she discovers its Dagger, her old beau, she jumps into the car with him. 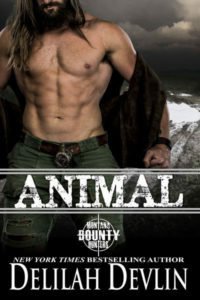 When she learns how he makes a living, she’s curious…and then determined to become a bounty hunter herself. How hard can it be? Want to see what April’s bringing? My life won’t be slowing down one bit! I’ll be spending the first week at my dd’s still. I’m going on a 10-day writers’ retreat in HAWAII!!!!! I have a book to finish, a short story to write, and hopefully, I’ll get most of the next Montana Bounty Hunter story written at that retreat too! Sound like enough? Ha! I have an editing gig to wrap up before I leave on my trip. And I have these releases to promote. Hope you decide to read them both. One is up for pre-order, the other you’ll have to wait to download on release day! Click on A Long, Hot Summer to pre-order! Do you have big Spring plans for April? Any trips planned for the year? Solve the puzzle to find the cute cowboy! Whew! Almost missed posting today! My website was kaput! German for fucked (not really). I just moved from one hosting site to another. There have been, ahem, issues. Cover reveals! See what’s coming! I’ve been busy while I’ve been sitting beside grandma’s bed. When you’re caring for someone who sleeps most of the time, you have to do something to stay awake. My sister, Elle James, is here to chat with, and since I had her held hostage, I coerced her to create some more pretty covers for upcoming books. Thought you might like to see what’s coming! A teller implicated in bank robbery seeks sanctuary from small-town sweetheart she left behind—who happens to be the new sheriff in town.